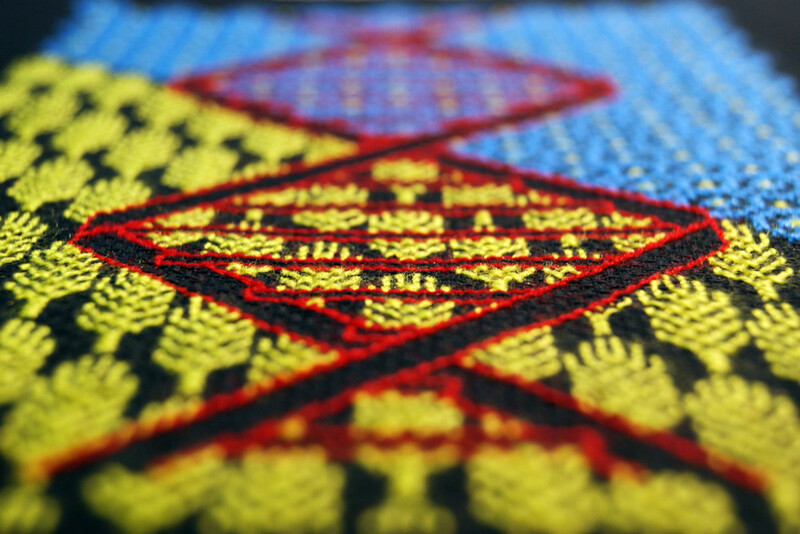 Two pieces of DNA were embroidered and shipped from Ukraine to participate in The Thread of Life project in Sheffield, UK that was organized by Sharon Mossbeck. My created pieces were inspired by ukrainian nature, national symbols and ornaments. 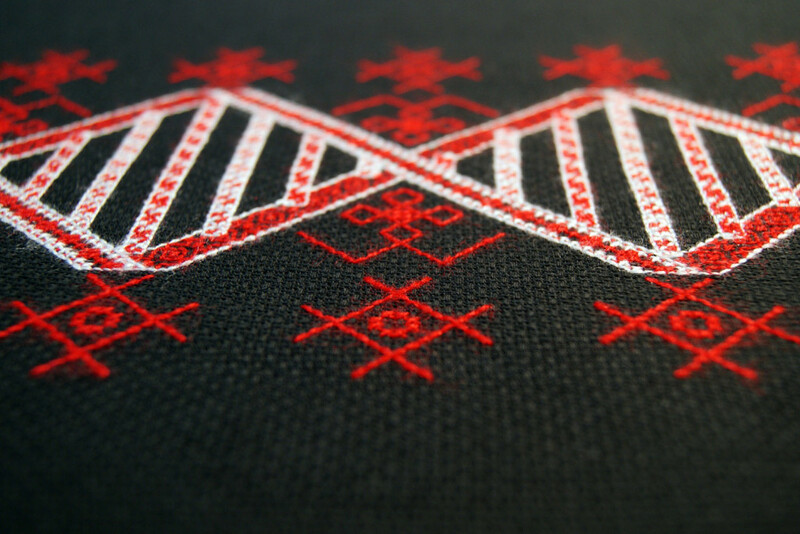 The Thread of Life is a contemporary art project in two parts, using the traditional medium of cross-stitch. 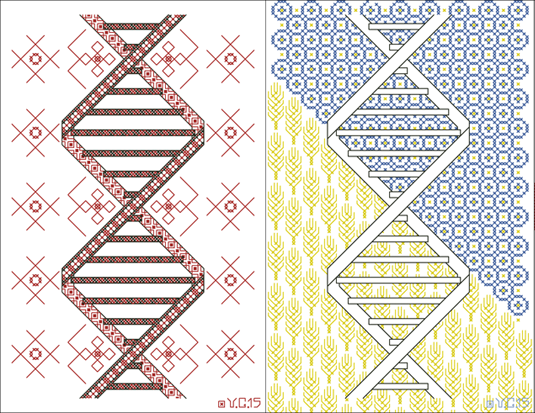 For the first part of the project Sharon was running a participatory cross-stitch project in which she was asking people to sew their own version of a basic pattern that she had designed based on a strand of DNA. For the second part of the project Sharon Mossbeck was working on her own large scale piece of cross-stitch work. All finished work completed and sent in to Bank Street Arts before 1st September 2015 will go into an exhibition there. The work is inspired by the Three Fates, or Moirai, of Ancient Greek Myth. In myth, each of the Moirai spins, allots and cuts each person’s thread of life, thus dictating their lifespan. Their names are Clotho (the spinner) Lachesis (the allotter) and Atropos (the un-turnable, who cuts the threads). 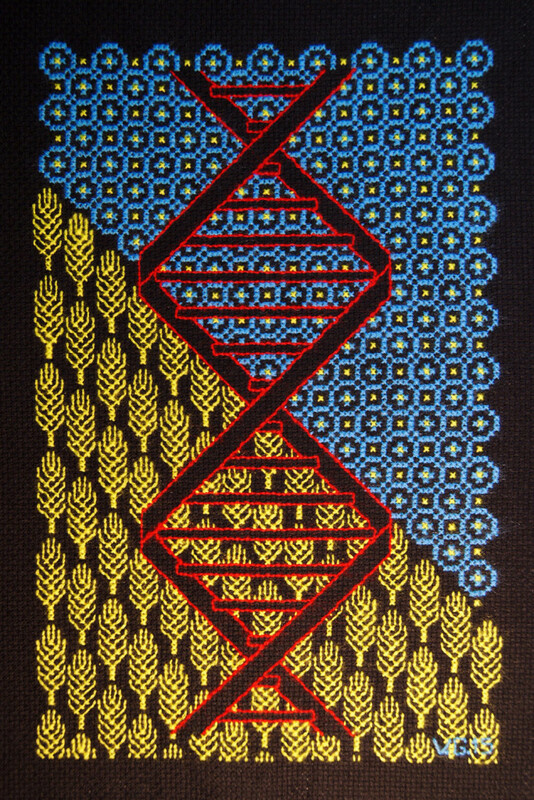 This puts me in mind of DNA, and the way that this thread may dictate our own lifespan. More about the Thread of Life Project. 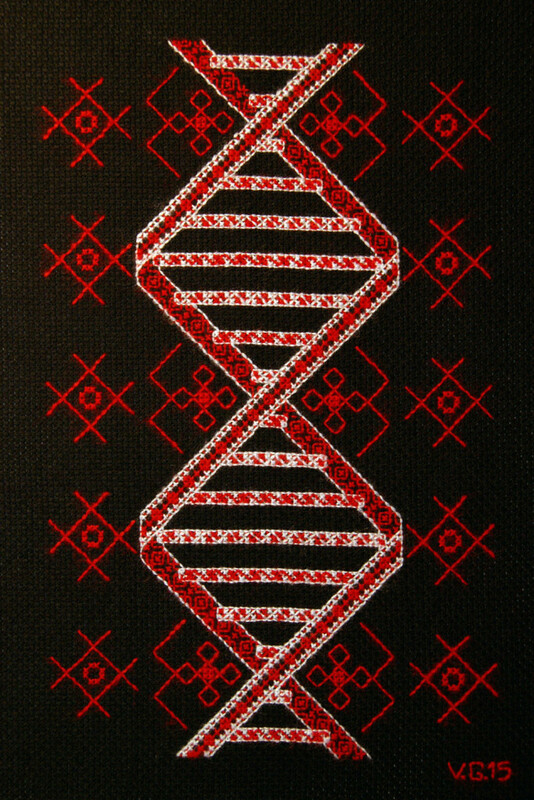 One more Cross Stitched DNA – Sharon portrait.